Chlorella is a blue-green alga (just like its cousin, spirulina) that has some amazing benefits. But how on earth can algae be good for you? Aren’t they supposed to cause diseases? Well, there is some fascinating science behind it. 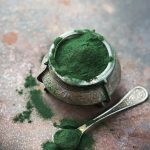 In this post, we’ll cover that and a lot more – and most importantly, the various ways chlorella can make your life easier. Keep reading! What Is The Nutritional Profile Of Chlorella? As we already saw, chlorella is a blue-green alga. It is rich green, which comes from its high chlorophyll content – which is good news. Since chlorella contains more chlorophyll than most green leafy vegetables (or any vegetable for that matter), it can offer certain health benefits. Well, it’s kinda complicated. Algae are both good and bad. Single-celled algae called phytoplankton are the main food source for fish and other aquatic animals – and these are the good algae. And then, there is another variety of algae called the cyanobacteria that can be toxic to aquatic life as well as humans. This is the bad variety (1). However, commercially cultivated cyanobacteria are nutritious – and chlorella falls under this category. But what makes chlorella so nutritious? It is the presence of certain powerful nutrients – chlorophyll, protein, vitamin B12, omega-3 fatty acids, and beta-carotene. These nutrients are primarily responsible for the incredible benefits the algae can offer. If you have been trying to lose weight, we understand your plight. Adding chlorella to your diet can help accelerate weight loss. It achieves this by improving your metabolism, regulating hormones, and improving circulation. One study states how chlorella intake could reduce body fat percentage, ultimately aiding weight loss (2). Diabetes sure can be hard to deal with. But with chlorella, it has just become easier. If you want to supplement your diabetes treatment with something effective, chlorella might just be what you need. This is because studies show how this alga can lower blood cholesterol and blood glucose levels. Chlorella is known to activate certain genes in your body that improve insulin sensitivity, and this encourages healthy blood sugar levels (3). Studies also show how chlorella can prevent the formation of advanced glycation end products (AGEs) (4). These are proteins in your body that attract sugar molecules when they are exposed to bodily sugars, resulting in worsening of diabetes symptoms. You might be someone with a healthy heart. Or you could be popping pills to deal with some heart ailment. Whoever you are, chlorella can be of help. One way it can achieve this is by regulating blood pressure levels (5). Consuming this alga can help prevent hypertension and all the other evil baggage it brings with it – including stroke. Statistics project 1,735,350 new cases of cancer in 2018 in the United States (6). And we don’t want you to be one of them. Apart from regular exercise and a healthy diet and lifestyle, consuming chlorella can be of immense help (7). The alga boosts your immune system. It eliminates heavy metals from your system. And in case you already have cancer, it boosts the action of T cells (a type of immune cells) that fight the cancerous cells and aid faster treatment. Inflammation inside your body can often manifest itself in the form of severe diseases. The antioxidants and omega-3s in chlorella can help combat this inflammation and keep you much healthier. These antioxidants also help prevent allergies. Though there is more research required, this sure is one encouraging step. Chlorella plays a major role here. It binds to toxic compounds and other heavy metals in the system and excretes them, thereby detoxifying your body right from the cellular level. Though there is limited research, some sources suggest that chlorella can eliminate body odor and even freshen your breath (8). Chlorella supports liver health, which can help prevent severe liver ailments – including non-alcoholic fatty liver disease (9). Regular intake of chlorella can keep your liver functioning at its best, thanks to its detoxifying properties. Chlorella can promote the growth of friendly bacteria, and this helps fight candida infections. Chlorella also contains beta glucan that improves the functioning of antibiotics – this helps reduce multiple prescriptions of antibiotics. Chlorella also enhances the growth of macrophages, which are immune cells known to destroy the virus causing candida. Studies have shown that chlorella extracts can inhibit the proliferation of Propionibacterium acnes, which cause acne (10). Chlorella is also known to reduce the production of certain enzymes produced by P. acnes that can cause inflammation and aggravate acne. This property of chlorella can also help delay the signs of aging. Chlorella also accelerates wound healing. Chlorella is one of the richest sources of vitamin B12, a nutrient important for hair health. Studies have shown how vitamin B12 deficiencies can often lead to premature hair loss. Other nutrients in chlorella, like selenium, zinc, and calcium, can make the hair shiny and soft. These are the different ways chlorella can improve your life. And we are sure you would have heard of spirulina as well. We saw the two are cousins – but how are the two different? Both of them are waterborne organisms. But they are quite different from each other at the cellular level. Of course, the benefits of spirulina are incredible as well. While both contain high levels of protein for energy, where they differ is in the specific nutrients they contain in abundance. Spirulina is quite rich in vitamin A – just a single dose can treat vitamin A deficiency. On the other hand, chlorella is a step ahead as it contains phytonutrients and phytochemicals that help in detoxification and also boost immunity. Chlorella seems to be far more nutritious than its cousin. And yes, we suggest you keep one thing in mind – chlorella’s tough exterior walls are not easy to digest. So, if you are buying chlorella supplements, ensure you go for the ‘cracked cell wall chlorella’ variety. Let’s now take a look at the nutritional spectrum of chlorella. Pretty impressive, isn’t it? But how do you take chlorella, and how much? As we don’t know how much of chlorella one needs to take to avail its benefits, there is no specific dosage as such. However, while certain studies have found benefits with 1.2 grams of chlorella a day, others required as much as 7 to 10 grams. But considering the research, most studies indicate a daily dosage of 2 to 3 grams. You can take chlorella either as a powder or a tablet (supplement). If you are taking the powder, use it in a smoothie. Add half a teaspoon of chlorella to a banana smoothie, along with lime juice, protein powder, and coconut water. Adding these ingredients also helps hide the strong taste of chlorella. If you are using tablets, you can take 3 to 6 of them, once to thrice a day (but check the packaging instructions too). Taking chlorella sure is simple, isn’t it? But we would like to tell you that not everything about it is rosy. Chlorella can cause some undesirable effects too. There is not enough information on this. Hence, avoid chlorella intake during pregnancy and breastfeeding. In people with a weak immune system, chlorella may cause bad bacteria to proliferate in the intestines – resulting in further complications. Chlorella can cause allergies in people already allergic to molds. Since chlorella also contains iodine, it can cause reactions in people with iodine sensitivity. Since chlorella can cause the immune system to become more active, it can increase the risk of autoimmune conditions like multiple sclerosis, lupus, rheumatoid arthritis, and other conditions. Now you know how this alga can be good for you, don’t you? 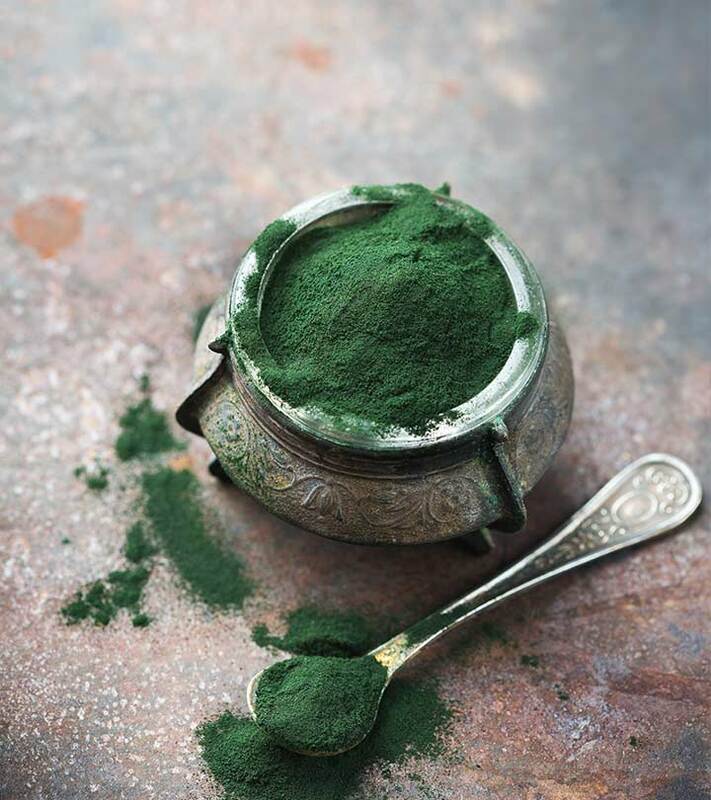 Including chlorella in your diet is a simple and yet powerful way to boost your health. Tell us how this post has helped you. Just leave a comment in the box below. You can procure chlorella from your nearest departmental store. Or even get it online at Amazon or GNC. What is the chlorella growth factor? Chlorella growth factor is a water-soluble extract of chlorella that contains amino acids, sugars, proteins, vitamins, peptides and nucleic acids. Most of the chlorella available in the US is processed and made into these liquid extracts. Can you take chlorella and spirulina together? Yes, taking both can have better benefits. You will get an abundance of protein as well. 1. “The good, the bad, and the algae”. NASA. 2. “Nutrigenomic studies of effects of…”. Journal of Medicinal Food. 3. “Beneficial effects of chlorella on glucose…”. US National Library of Medicine. 4. “Therapeutic potentials of unicellular…”. US National Library of Medicine. 5. 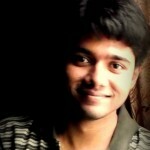 “Anti-hypertensive effect of…”. US National Library of Medicine. 6. “Cancer statistics, 2018”. US National Library of Medicine. 7. “Chlorella vulgaris triggers…”. US National Library of Medicine. 8. “How to avoid embarrassing…”. Dr. Mercola’s Health Blog. 9. “Investigation of the effects of…”. US National Library of Medicine. 10. “Inhibition of lipase and inflammator…”. US National Library of Medicine.